What is a living building? A living building is a green economy initiative that is defined by the Cascadia Region Green Building Council (CRGBC) as a building that is able to generate all of its energy resources with renewable nontoxic sources. 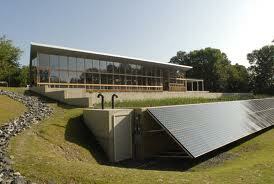 The living building also treats and captures all of its own water. A living building, to be considered legitimate, must be able to be certified by the United States Green Building Council (USGBC), a subsidiary of its Leadership in Energy and Efficient Design (LEED) program. certification can mean that a building is eligible for many tax breaks and other types of parks.The CRGBC, in order to promote the idea of a building that could live on its own, actually launched a challenge to the construction and design communities to pursue adding sustainability in the environment surrounding the building. As of today there are more than 60 different projects spanning North America which are trying to meet the high standards of the LBC group, which are even higher standards than the LEED program. The first building that was considered for this much higher standard of green sustainability was the Omega Center for Sustainable Living, in Rhinebeck, NY. This building is a 6200 square-foot single-story building which serves many businesses in the area. It features rain gardens that use water runoff in order to irrigate the surrounding plants, solar panels for energy, heating and cooling system that is geothermal, and a 4500 square-foot greenhouse that recycles wastewater.The building also incorporates a design that capitalizes on the natural light flowing into the building, minimizing the need for electric lights. 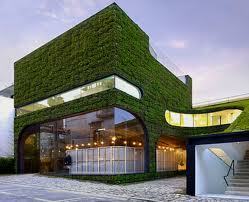 The building is also, most importantly, “net zero,” meaning that the building uses no more energy than it generates. This is the top criteria for certification by the LBC. 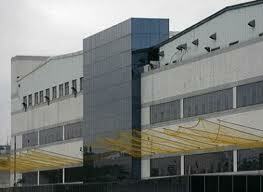 The building must operate for a full year before it can be considered for this type of certification. 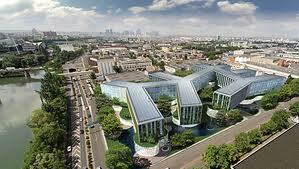 There is one reason above all that the concept of this type of a building has not yet hit the mainstream – the cost. The cost of creating any kind of net zero building that generates only as much energy as it uses is especially high, and there is as of yet no way to bring that cost down. However, the concept of this type of building is definitely possible in the future, as builders begin to source locally for materials and local economies gradually warm themselves to the concept of a green economy which can create jobs. Many distinguished educational institutions have caught on to the idea of this living kind of building, and are conducting experiments, both thought and actual, which vet the concepts that the current projects are testing in the field. Many studies are expected to be released about this concepts in the coming years. For many people, Apple is a company that produces magic. While Steve Jobs has passed on, he has left behind a legacy that will never be forgotten. Unfortunately, there is a darker side to Apple. 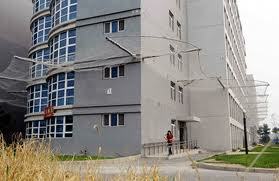 Many iPad and iPhone components are manufactured in China by Foxconn, an electronics company. Many employees who work at Foxconn work in an oppressive environment, having strict timing and quotas for putting together iPad and iPhone components. Over the past year, there have been suicides at Foxconn, many of them by employees jumping to their death off of company buildings. 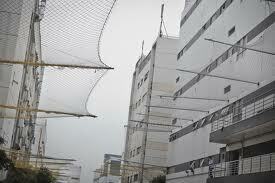 In response to this Foxconn has installed netting around many of their manufacturing buildings. In addition to a poor working environment, many people are concerned about the environmental impact Apple’s products have. An iPad contains many rare earth metals, toxic components, and carcinogens. The industrial processes used to produce these parts release many dangerous toxins into the environment.One of the greatest environmental concerns in iPhone manufacturing is the mining of rare earth minerals. Rare earth minerals are integral parts of many modern electronic components, including circuits, GPS receivers, LCD screens, and computer processors. Rare earth minerals can be found in many parts of the world, but are mostly mined in China. Many of these minerals are embedded in very small quantities like natural ore, which requires a toxic refining process to yield a pure product. These refining processes dump many extremely toxic chemicals into the environment. Cities around areas that mine these rare earth refineries have high rates of cancer, and have become known by locals in China as cancer cities. While Steve Job’s company does not directly pollute, the contractors and part suppliers they use have a very serious environmental impact. Should these 3rd party component manufacturers be held accountable for their actions? For eco-conscious types, recycling as much as possible is a no-brainer. However, many people mistakenly believe that a pizza box can be recycled right next to newspapers, printer paper, and regular cardboard boxes. 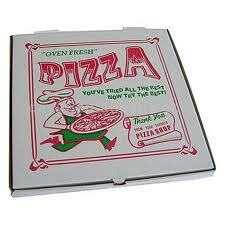 While pizza boxes usually do bear a recycling symbol, indicating that they are recyclable, this labeling does not take into account the greasy blotches and cheese smears that almost certainly linger on any used box. 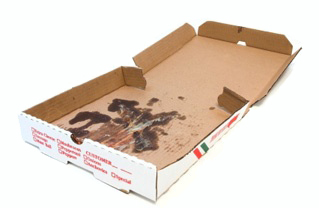 Usually made from corrugated cardboard, unused or clean boxes are perfectly fine to be recycled, but the food residue that lingers on most used pizza boxes makes them unsuitable to be recycled whole.These food residues can actually contaminate whole batches of the recycling process by causing spoilage or damaging equipment not meant to come into contact with oils. Therefore, putting boxes with food residue into the recycles can actually cause more harm than good.Parts of boxes that are free of oil or grease marks are okay to be recycled, as long as care is taken to ensure that they are clean and that the parts of the boxes contaminated by food residues are thrown into the trash.